101 – 111 Botanic Avenue and 55 – 63 University Street is currently occupied by 11 terraced buildings originally built as residential properties and ranging in height from 2 – 3 storeys. 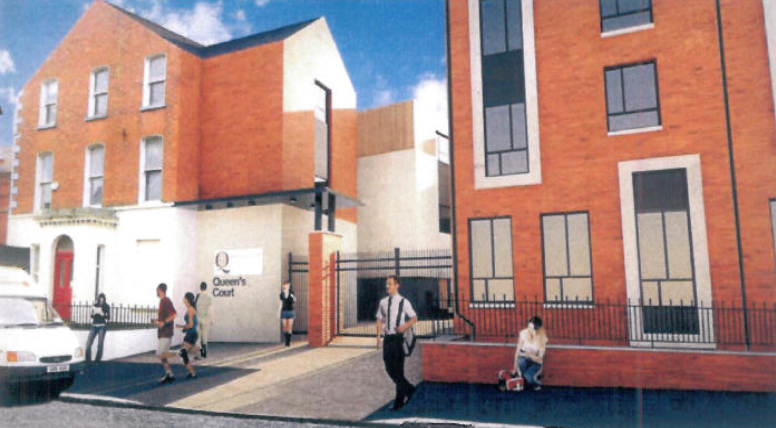 Queen’s University Belfast and RPP Architects submitted a planning application (Z/2013/0012/F) and application for demolition consent in a Conservation Area (Z/2012/1428/DCA) in December 2012. 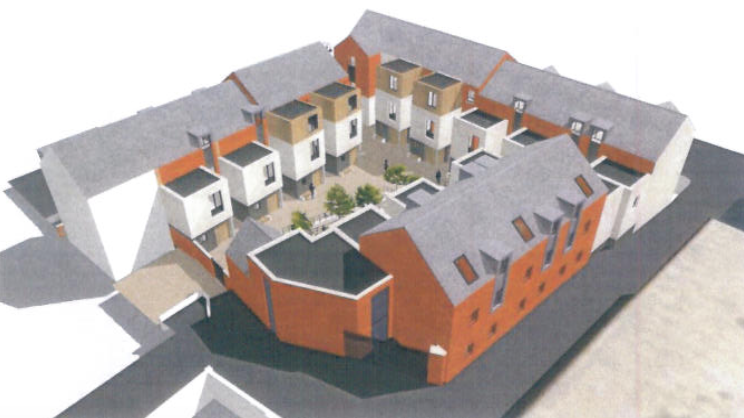 The applications propose the demolition of 55 – 63 University Street and a single storey garage at University Square Mews with facade retention of 63 University Street. 101 – 111 Botanic Avenue is proposed to be demolished with facade retention. 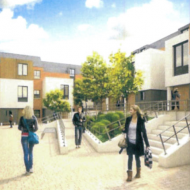 The 0.16 hectare is site is proposed to be redeveloped to provide purpose built student accommodation comprising 71no. 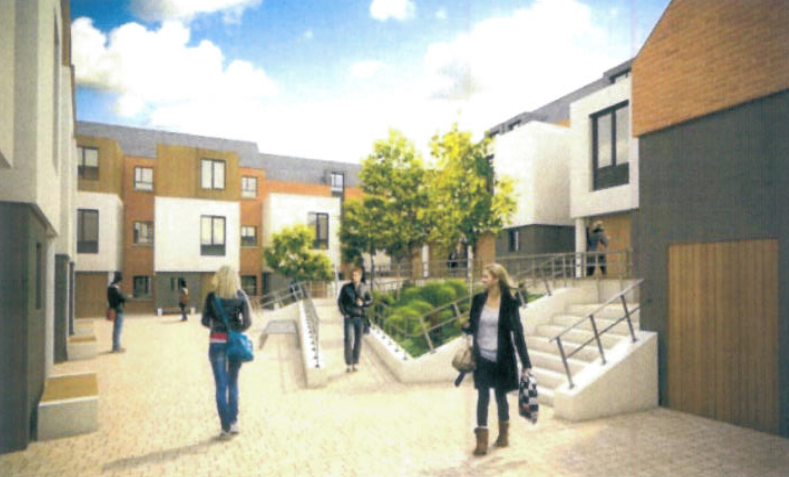 student bedrooms (12 HMO townhouses; 7 with five study bedrooms and 5 with six study bedrooms and 3 apartments; each with two study bedrooms). 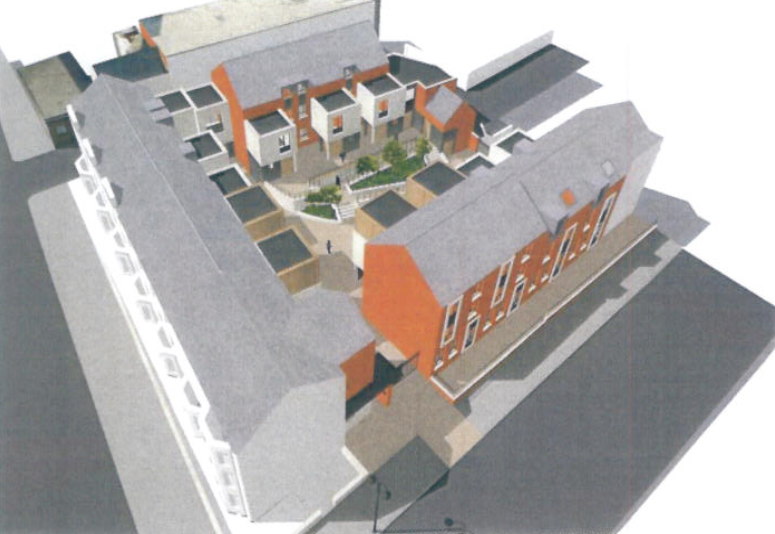 DoE Planning issued a recommendation to refuse both applications due to potential impact on the conservation area. 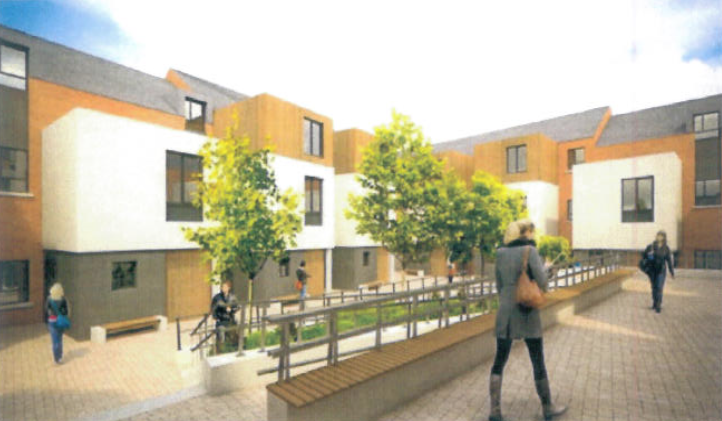 The applications were deferred for further consideration by Belfast City Council’s Planning Committee in June 2013. 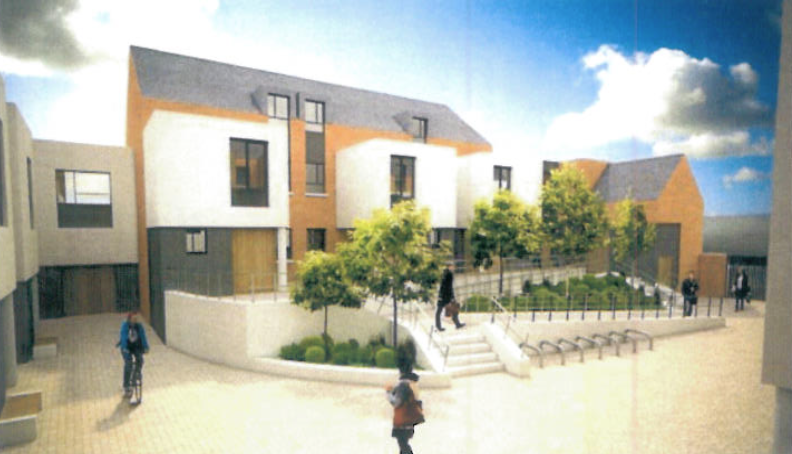 Further information was requested by DoE and in September 2013 the applicant submitted information which included: a Building Condition Report prepared by Povall Worthington Ltd; a Structural Condition Report prepared by Doran Consulting; a Costs Report prepared by Hood McGowan Kirk; a Valuation / Development Appraisal Report prepared by Osborne King, and; a letter providing additional comment prepared by Fleming Mounstephen Planning. The Building Condition and Structural Condition Reports concluded that the existing properties are in very poor condition, including significant fire damage to some of the properties. The reports conclude that there would be significant expense involved in repairing to a standard which would allow any active use. 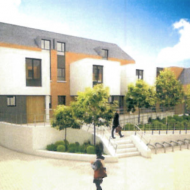 The Valuation / Development Appraisal Report considered two options agreed with DoE which included refurbishing the 11 existing terraced properties for residential use (as single family dwellings for the letting market) or refurbishment of the properties as own door office accommodation. 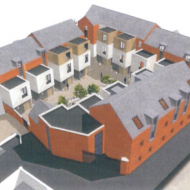 The report concluded that neither of the two options would be commercially viable. On receipt of the additional reports from the applicant, DoE consulted with the Department of Finance and Personnel (DFP) Central Procurement Directorate (CPD) and Land and Property Services (LPS). CPD concluded that demolition was a reasonable course of action for the properties at 55 – 61 University Street but did not state if it was necessary or essential. CPD also concluded that despite structural defects the properties at 101 – 111 Botanic Avenue do not warrant demolition. 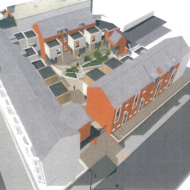 During the planning process, Hearth submitted two letters of objection to the demolition of the existing properties which it believes contribute positively to the character of the conservation area. 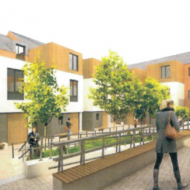 Both applications were to be presented to Belfast City Council’s Planning Committee on 19 May 2015 with a recommendation to refuse. 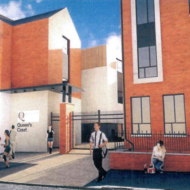 The case officer’s report concluded that no overwhelming evidence had been submitted to justify the demolition of the existing buildings and that they make a positive contribution to Queens Conservation Area. The applications were withdrawn before the meeting of the committee. * Note – No opinion is expressed on this webpage for or against the application. Information is presented as a factual account of proceedings for information purposes only.